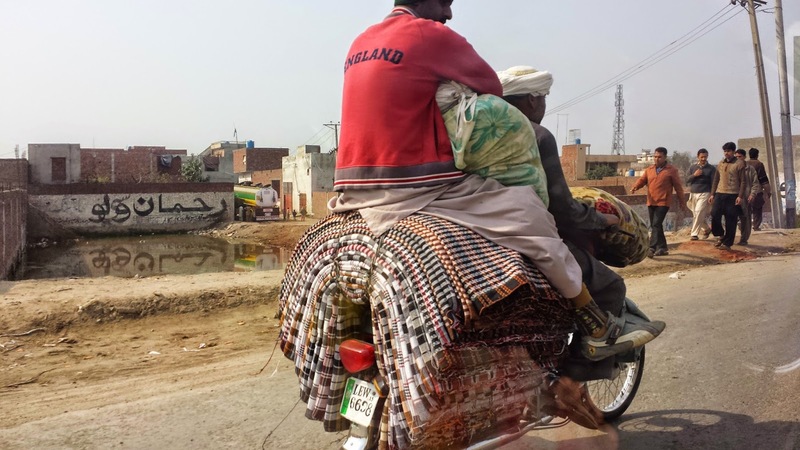 After a week in Lahore we set off to visit the village around Faisalabad, where my in-laws live. We were supposed to stay there for a week, and organise Adam's Aqiqah (the sacrifice of an animal performed on the occasion of child's birth). 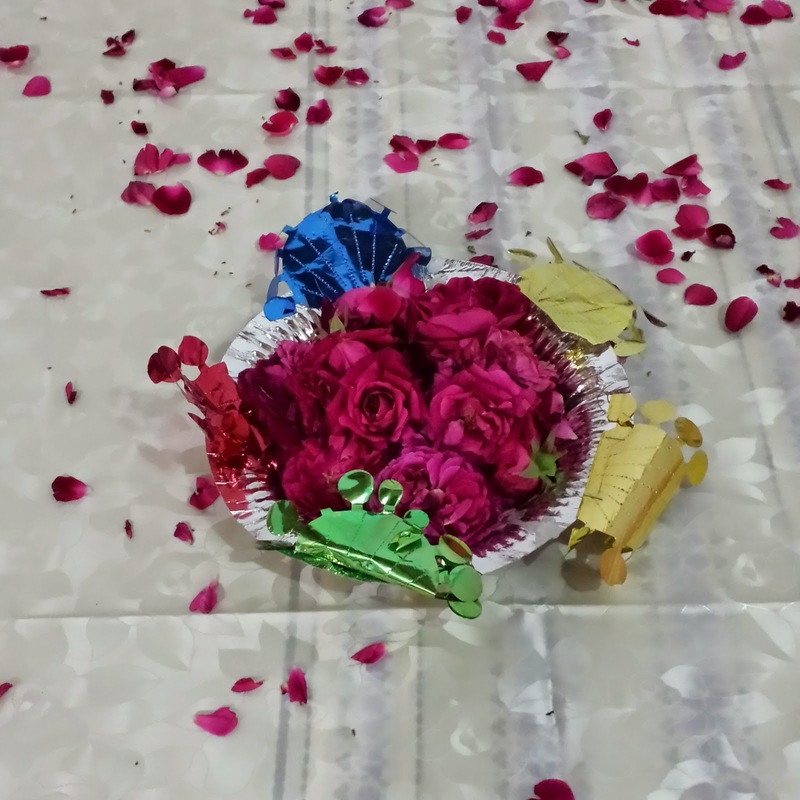 Our departure from Lahore was pretty chaotic - we wanted the Aqiqah function to happen over the weekend, but the weather was supposed to be horrible, so we were thinking to delay the trip. My mother-in-law, however, asked us to come earlier - she left Lahore after few days to take care of things at home, and wanted to spend a bit more time with us, so after some last-minute packing we were ready to go. My in-laws' village is about 2 hours drive from Lahore. We were in for quite a trip - five adults (Hubby and I, grandma and my brothers-in-law) plus Adam and all our luggage in Suzuki Mehran (as a comparison, it was like travelling with one too many people in a Mini ;)). It was one of the most uncomfortable car journeys I've ever had, especially with Adam unable to stay in one place, but I still enjoyed it - I love long car journeys (since I don't drive ;)) and just looking at the views. Fruit seller by the road - we bought some lovely strawberries for the journey. Travel with style! 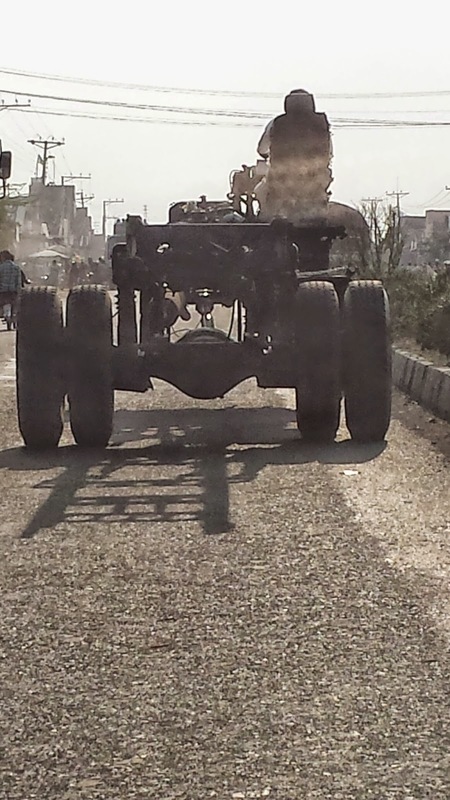 This was an empty frame of what apparently was going to become one of the beautiful Pakistani trucks. We were planning to stay there for a week, but as the weather was quite bad on the first weekend, we stayed until the next one to organise the Aqiqah, so we ended up spending 12 days there (including the days we were travelling). We did have quite a good time though. In all honesty, it did get boring at times - it was really quiet and nowhere to go, really. Soon I started missing the chaos and noise of the city, I'm definitely not made for the village life ;) Plus the weather wasn't always too good, and everyone was doing everything for me. Once, when I got down to do some ironing, my Mother-in-law came over and offered to do it for me, and when I refused she sent one of Hubby's friend's daughters (but I didn't let her do it either ;)). 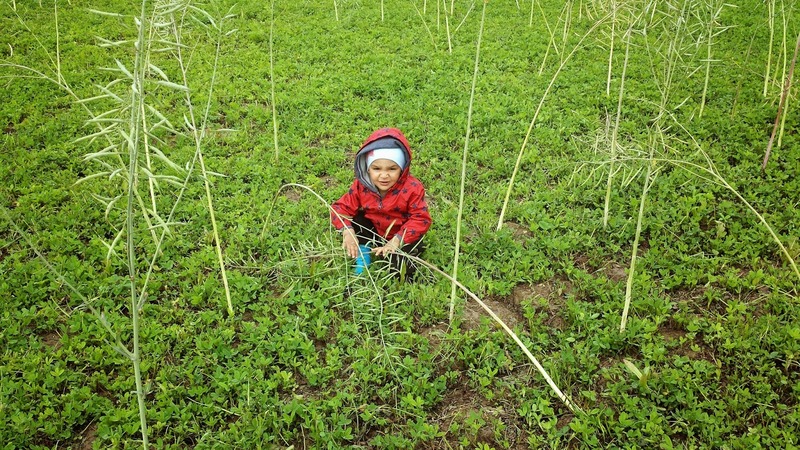 When it didn't rain, we could enjoy a small trip around the village and to the fields. It was really good to see some stuff that we don't have here in the UK - banana tree, date trees, ripening guavas and ber fruit, orange trees... 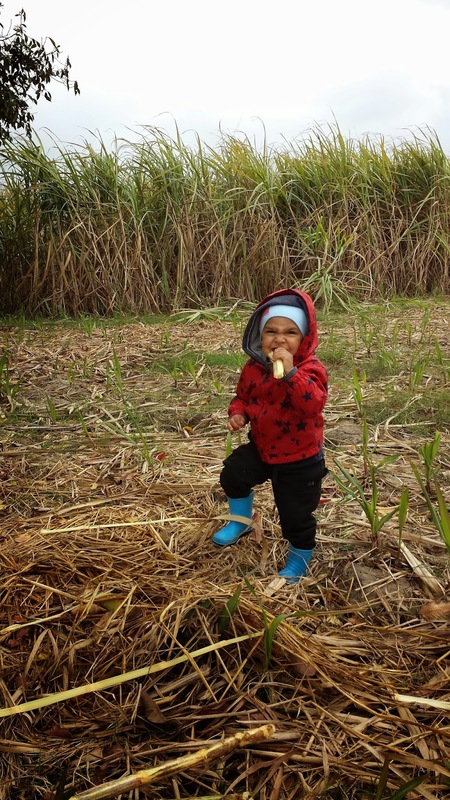 The end of sugarcane season was approaching too, and we still got a chance to try freshly cut sugarcane straight from the field. Of course there were countless guests - it felt like the whole village had come to see us! I told Hubby in the end, that if we stayed there for the whole month, people would still come every day to check me out ;) I don't even know how many times someone would knock on my door saying we had visitors, and how many cups of chai and sweets my Mother-in-law served to the people. I'm a bit of an introvert, plus I could only sit there and smile while people were talking about me, so you can imagine it wasn't the most enjoyable part of our visit. We also got a chance to go round other people's homes and have our own fair share of chai. Anyway, after a relaxing week, it was time for the function. A few days before Hubby sat down with his dad and made a guest list - they came up with about 80 people that needed inviting, which was more than we had on our small wedding! Everything was getting sorted by the village barber, who also cooks for all the functions (don't ask me, apparently that's such person's function in the village ;)). A brief explanation of what Aqiqah is - it is an Islamic tradition of sacrificing the animal on the occasion of child's birth. It is sunnah to slaughter two sheep for a boy, and one for a girl - we, however, slaughtered couple of goats. The sacrifice should ideally be performed on the seventh day of baby's life, but if one can't perform it, then it can be done any time before the child reaches puberty. So, on Saturday afternoon, all the women stayed in the house, and all the men got down to business. I'm not gonna share the photos with you - I don't suppose anyone really fancies to look at the dead animal. On Sunday morning the house and the courtyard were cleaned, ready for the guests. 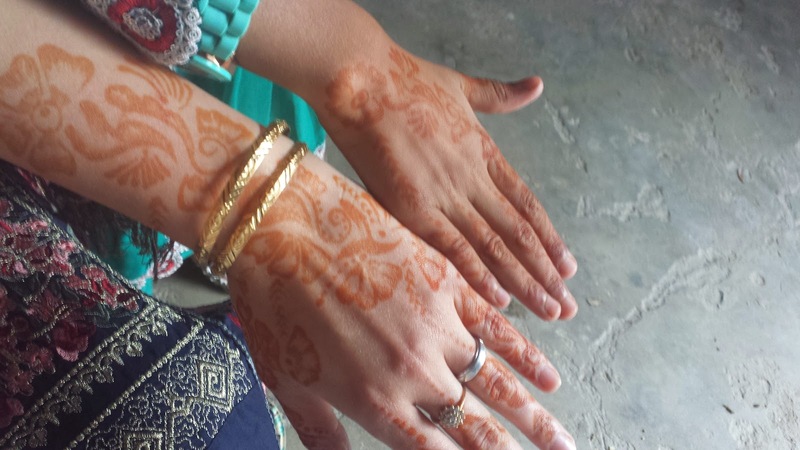 I had my mehndi done by a neighbour, everyone got dressed nicely, and then people came over for lunch. Not everyone made it for the meal, and people kept coming until late in the evening, but anyway it was our last day in the village. 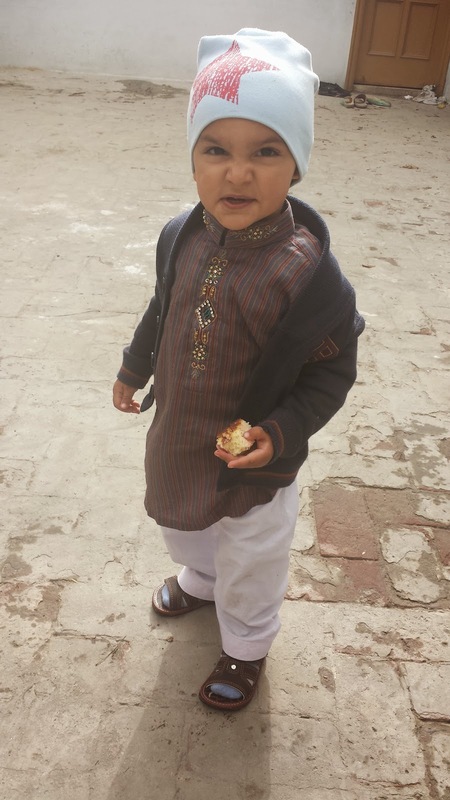 On Monday we went to the graveyard, packed our stuff, took loads of family photos, and we went back to Lahore. 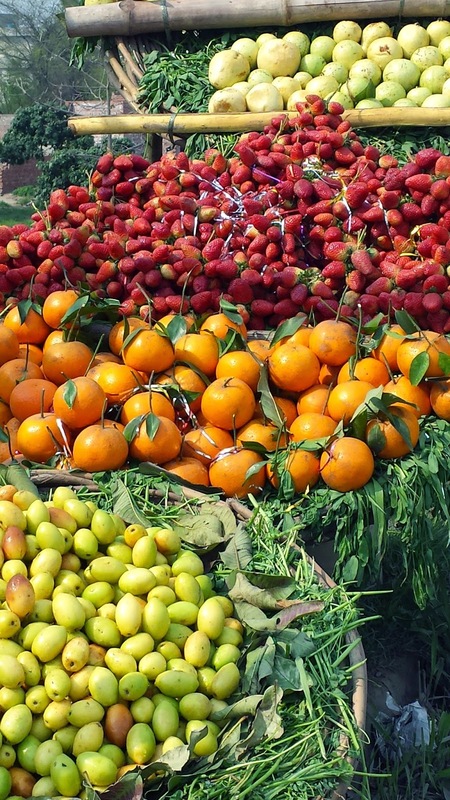 I love Pakistani fruit it's so sweet as compared to what we get here in the UK. The strawberries in particular look delicious! I have never been to Pakistan but those pictures look so interesting and lovely it makes me want to visit! I know the feeling of being cramped in a car abroad, we had about 11 or 12 people in a 5 seater car last time I visited the in laws in Turkey! Lol. Luckily it was only a short journey. I was searching whether Parmesan was halal or not and stumbled on your blog. Being a Pakistani, I really enjoyed your take on Pakistan. It's quite funny to read about our lives from a foreigner's point of view. Reading about the barber making the food was so fun as this is what happens in our villages. + The whole of village coming to see you was something vey Pakistani. Another thing that I enjoyed was that you got to experience the REAL Pakistan unlike most foreigners (if they somehow come to Pakistan) who usually experience the elite areas.